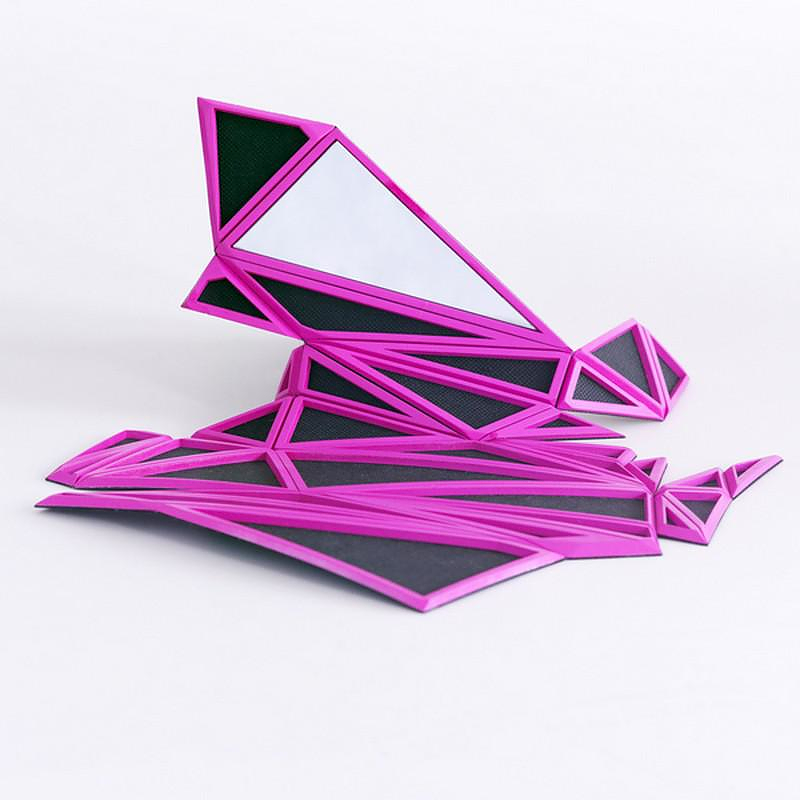 HomeBlogFashion & StyleOrishiki, an Origami inspired Clutch Hand Bag by Naoki Kawamoto. 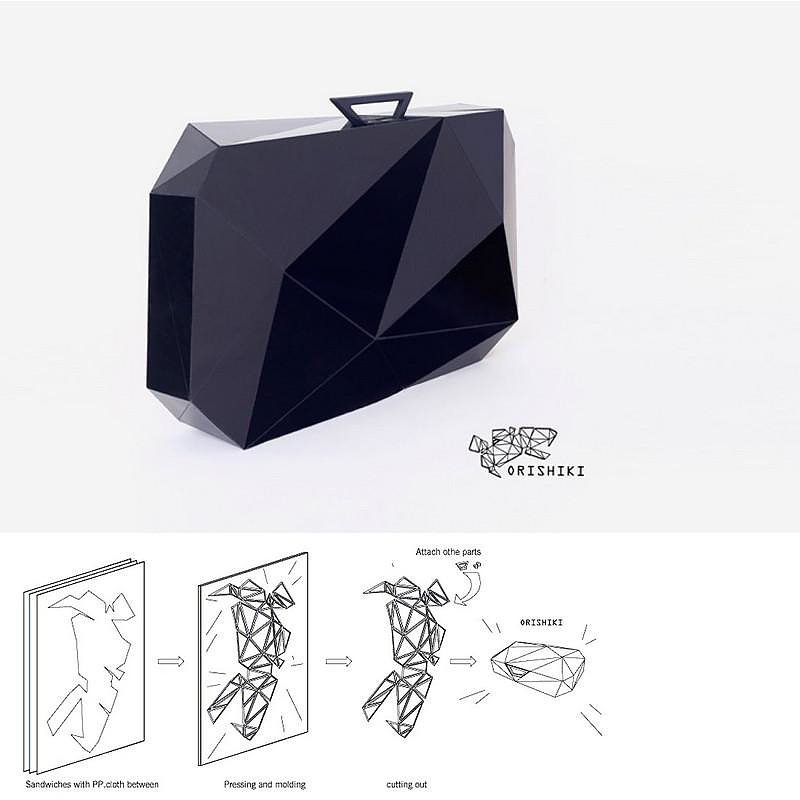 Orishiki clutch bag is a striking origami inspired hand bag featuring intense angles, clean geometry and a futuristic style. 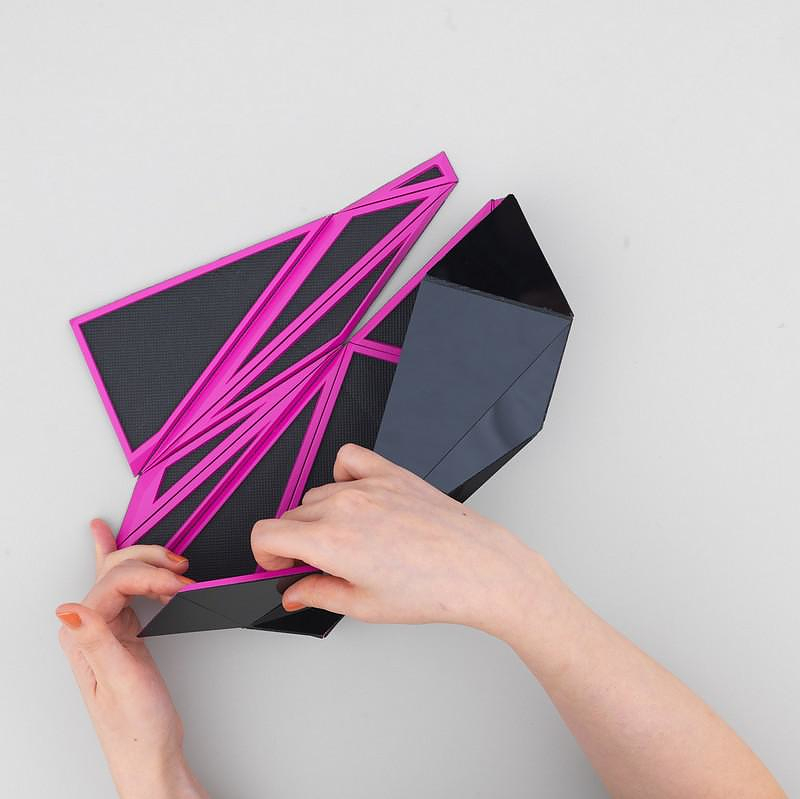 A futuristic design that surprisingly has its original roots to the ancient art of folding paper. 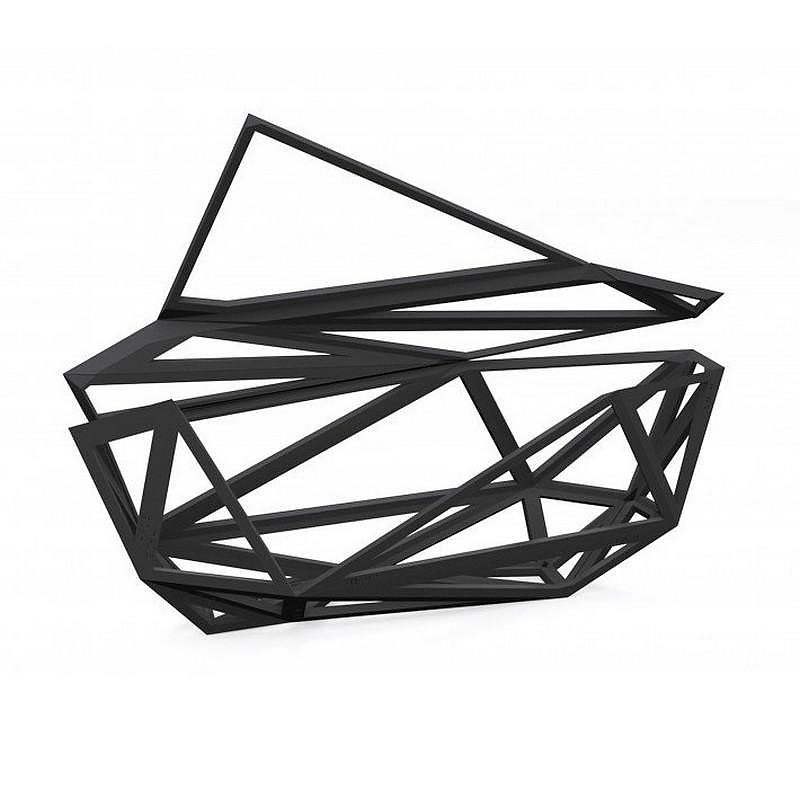 Orishiki clutch hand bag is an original design of London based Japanese designer Naoki Kawamoto. “Orishiki” is a hybrid word composed by the Japanese word “Ori” taken from “Origami” the word used for the paper folding art and “Shiki” which is taken from the word “Furoshiki”. Furoshiki is a large piece of fabric used for wrapping and transporting goods, and can be also worn as a scarf. 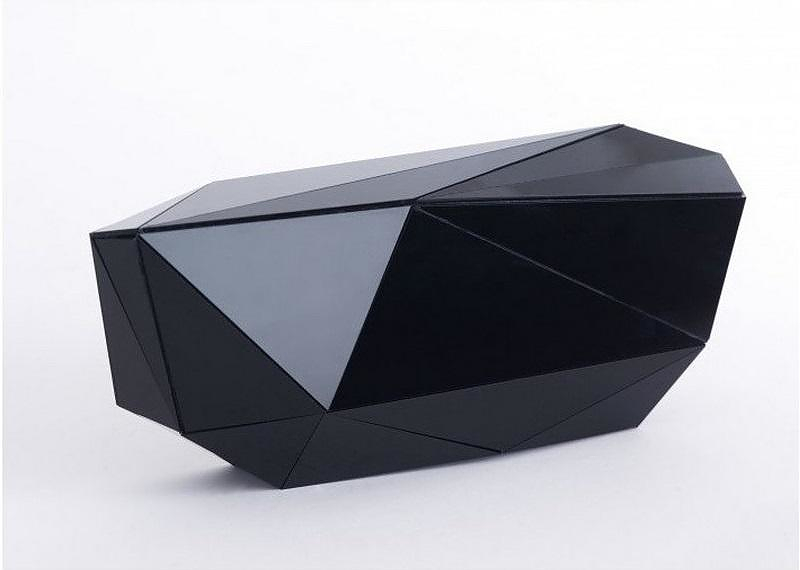 So, “Orishiki” clutch is a hand bag made of a two-dimensional single pieced structure divided in triangular segments. 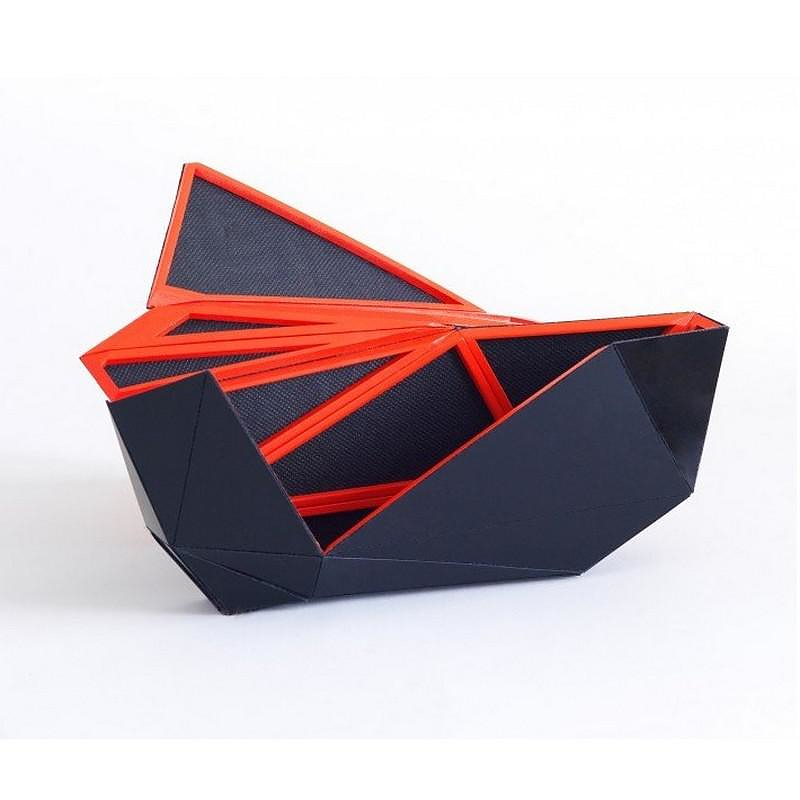 The segments fold together like origami and wrap things around just like furoshiki. 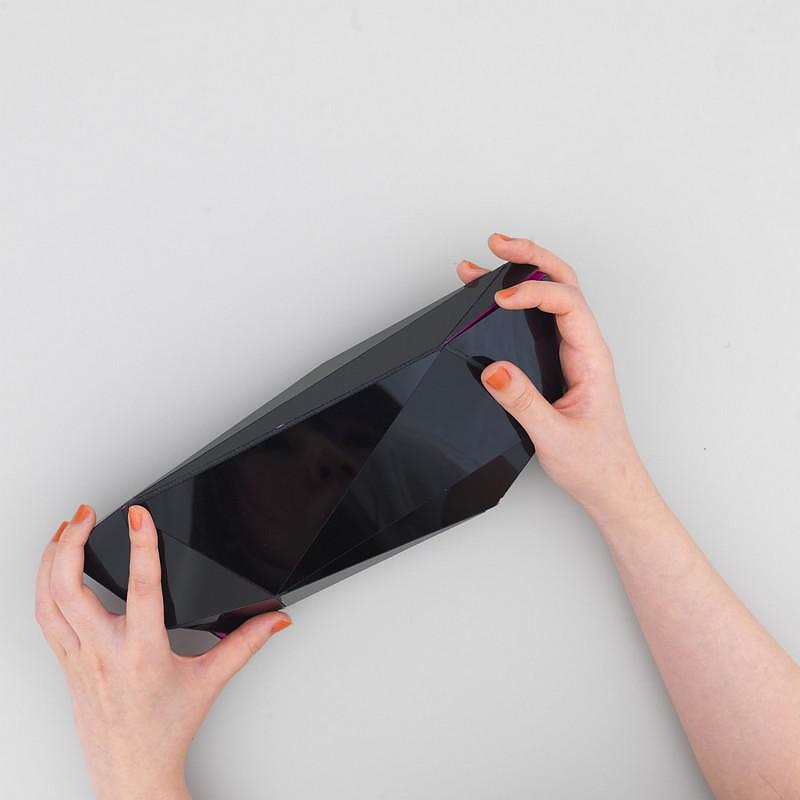 The final result is a geometric foldable surface that becomes a solid case. Using the Orishiki clutch bag is a completely different experience from any other clutch case: even the way it opens and closes is innovative. The surface is divided in triangular segments which define the exact direction and position, of the next segment. Magnets organize the unimpeded closing behavior. You just place your stuff on the surface, into the Orishiki clutch hand bag and fold it. The gap starts closing automatically. The final solid looks like a crystal that reflects gracefully all surrounding lights. 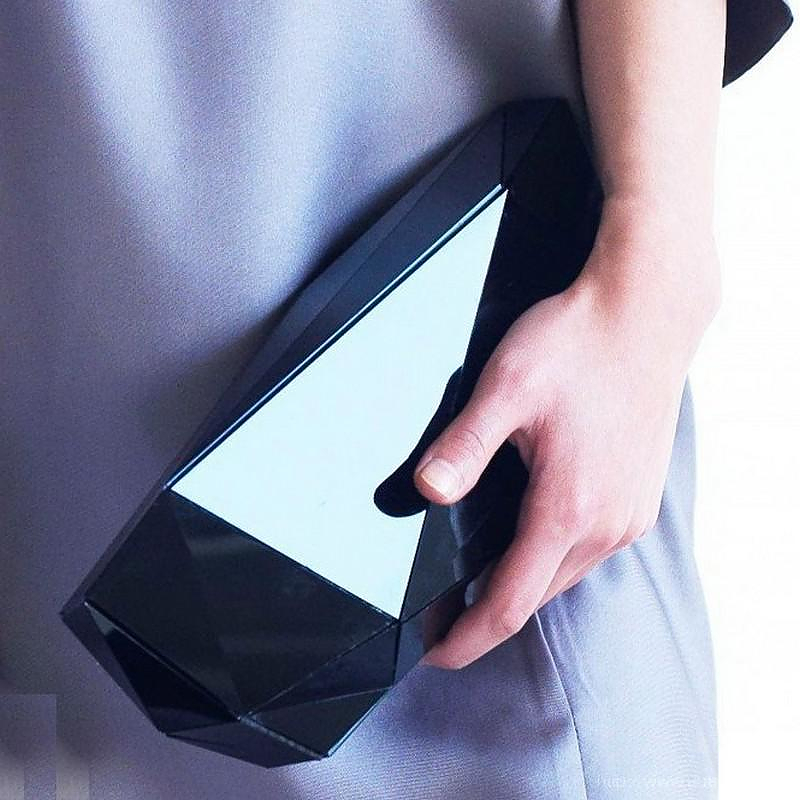 The Orishiki clutch hand bag is a geometric bag which is not only idiosyncratic in its appearance but also in its highly specialized production process. 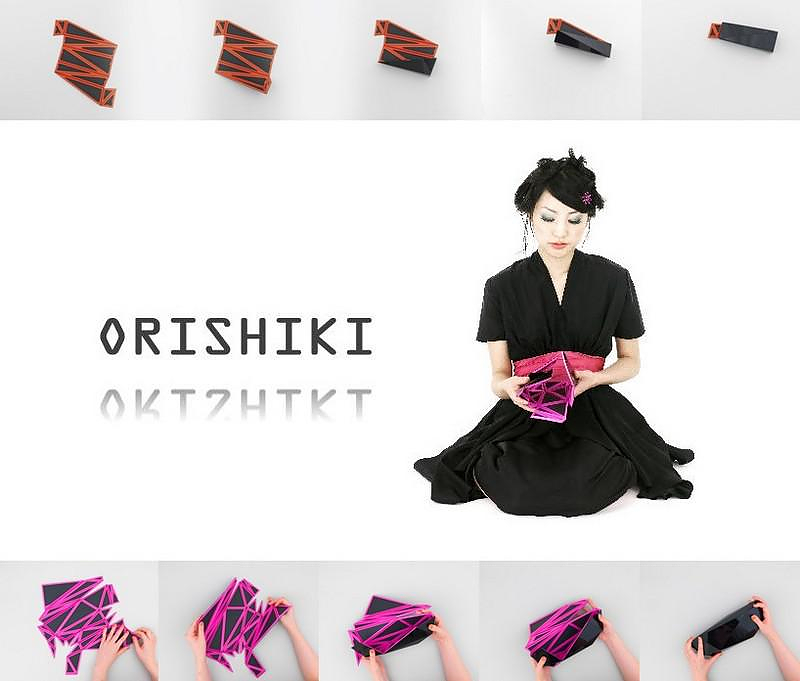 After extensive testing, Orishiki clutch hand bag was created by additive manufacturing and hand assembling, using modern synthetic materials and laser techniques. Its unique process can be applied to just about any productions without losing its unique product identity. 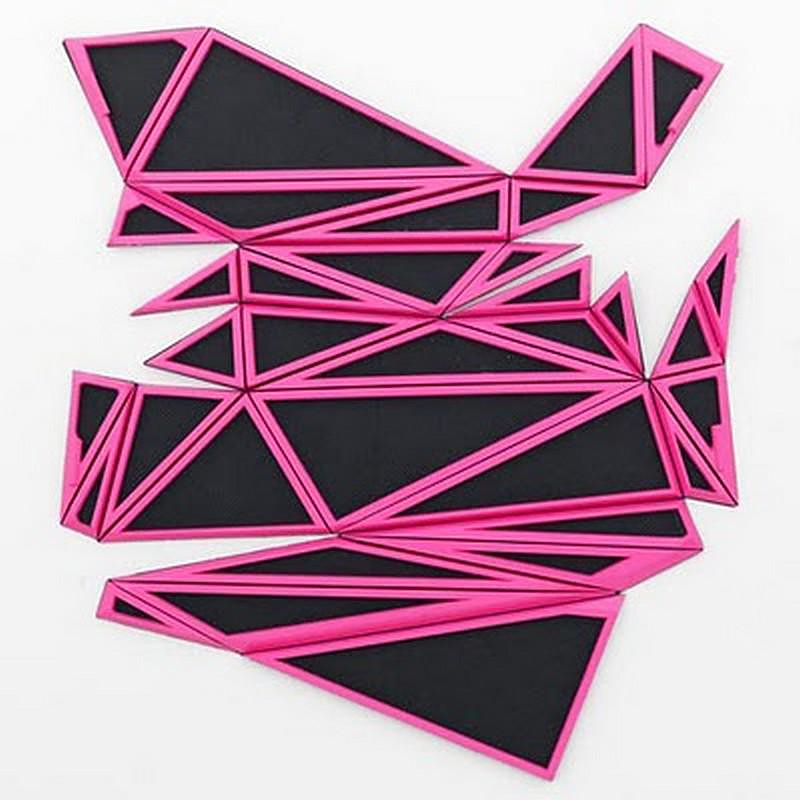 Naoki Kawamoto has used the same production process to materialize more of his ideas. In fact, the Orishiki clutch hand bag is a just one of example, there is a range of more carrying products like suitcases, cases and packages. 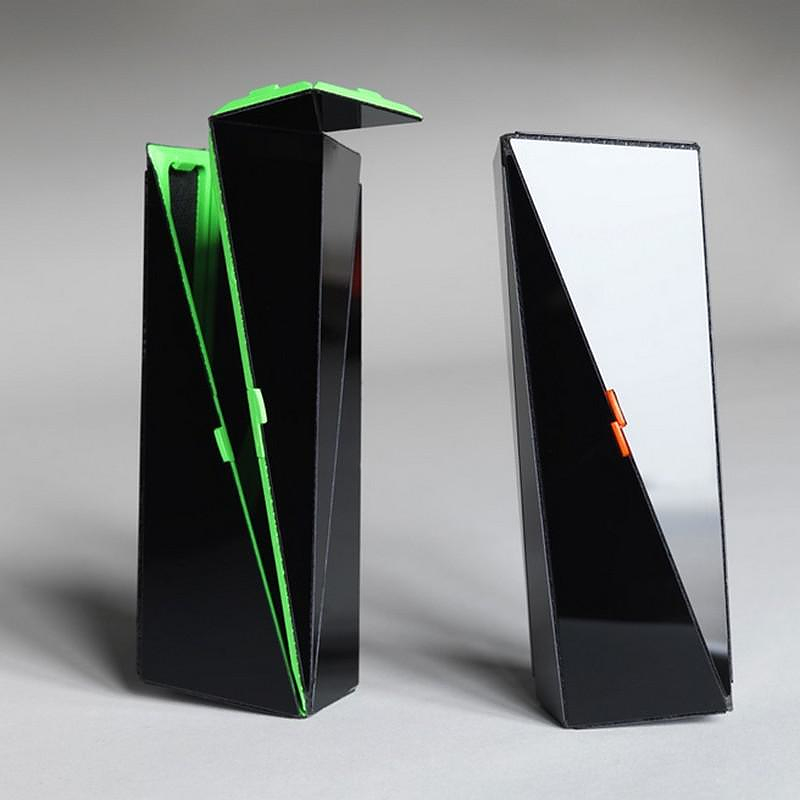 Naoki Kawamoto started the project in 2009 at RCA London and exhibited the same year at 100%design London. In 2011 he exhibits his work on Orishiki bags in Tokyo’s “DESIGNTIDE”. He studied Industrial Engineering at the Royal College of Art in London and also in the Imperial College (London). 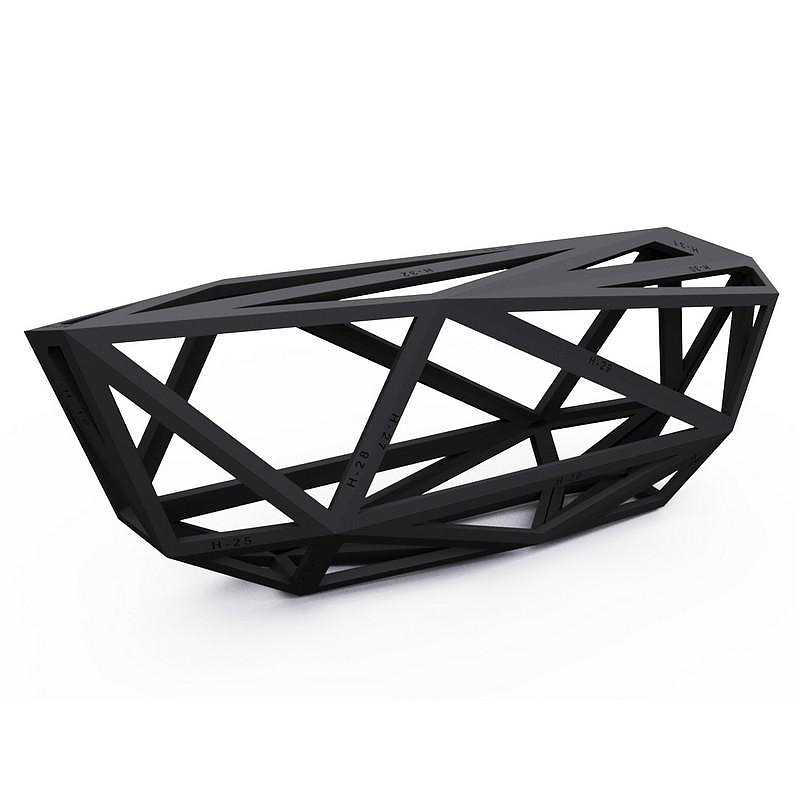 The Orishiki clutch hand bag is Platinum A’ Design Award Winner in Fashion and Travel Accessories Design Category, 2011 – 2012.